New York City in the late eighties and early nineties of the 20th century was a completely different place than what it is today. 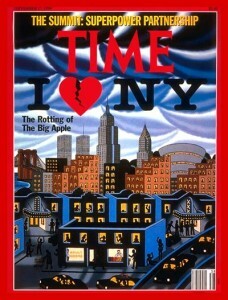 The September 17, Time Magazine cover read the iconic slogan, “I.. NY,” but with a broken heart in between the words. New York City streets were riddled with crack viles, hypodermic needles, empty bullet casings, and even dead bodies at times. Times Square was a marketplace for pimps, prostitutes, fake-gold jewelry peddlers, and crack and heroin dealers; there was even a cute prostitute stroll on Park Avenue. When you walked into a bodega and found one rack stocked with stale potato chips and a video game, odds were you just walked into a undercover marijuana spot. 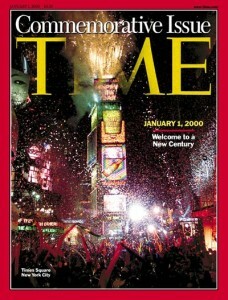 Fast forward to the year 2000 and Mayor Rudolph Giuliani had championed a “quality of life” initiative that eliminated small to large displays of disorder including but not limited to drinking in public, wiping windows for spare change, jumping the subway turnstile to avoid paying train fare, sweeping arrests of drug dealers, and offering compensation for illegal firearms. Mayor Giuliani increased the size of the NYPD, and was able to flood the streets with police officers who arrested people for infractions that were once too minor to warrant incarceration. As a result, our city welcomes even more of the most civilized people from every corner of the planet. We’re all a lot safer, and reportedly more economically prosperous. For the side effects of this utopia, swallow or spit out anything you have in our mouth, so you wont choke laughing, and watch the video.